While banks don’t have to “fail” completely to have a huge impact on the economy, both Lehman Brothers and Washington Mutual proved back in 2008 that failure can happen. 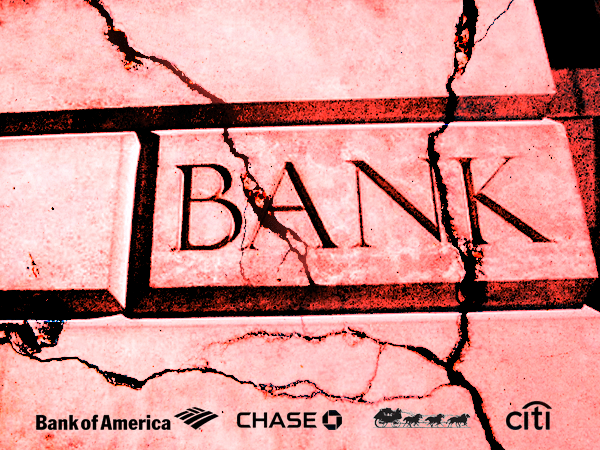 Several big banks are currently in trouble, and all for unethical to illegal practices. When questionable activity comes to light, stock prices drop as a result. And each of the banks in this article have committed multiple offenses since 2008. With each new offense, they are all pushing ethical and legal boundaries. The resulting uncertainty in the market from these behaviors can have ripple effects on the economy. These are the institutions that take our deposits and issue loans, after all. It’s this simple function, of taking deposits and creating loans, that lies at the base of our Central Banking System. As part of a crackdown by the Administration on unethical practices, Wells Fargo is facing enormous fines from the Consumer Financial Protection Bureau (CFPB). Wells Fargo has been “caught cheating” before this recent litigation, of course. In 2017, a former mortgage banker filed a lawsuit that alleged the bank falsified records so it could blame borrowers for problems in processing. That’s not a typo… the bank wanted to blame its customers for problems the bank was having processing records. And all of this litigation is taking its toll on Wells Fargo, which plans to close 800 branches by 2020, according to CNN, drawing bipartisan anger in Congress. This follows the closing of 200 branches in 2017. You would think you were in charge of your money. Especially your credit card charges, since you are paying interest to the holding bank. You might also think you could use your card to buy whatever you want, and only have to pay the required interest on whatever you charge. Sadly, it appears that you would be wrong. JPMorgan Chase decided to try and play “middle man” by clipping its clients’ credit cards for cryptocurrency purchases. You see, back in January, the bank stopped letting its customers buy cryptocurrencies with credit cards and instead began to treat such purchases as cash advances. Now, as a result, they’re facing a lawsuit in Manhattan federal court. This lawsuit is for $1 million, which might not seem like much for a corporate behemoth like Chase. But the bank was also fighting 10,000 other lawsuits as of 2012, and was potentially $4.5 billion short in covering expenses related to those lawsuits. Lawsuits take a long time to resolve, so who knows how many of those are left. In 2016, Chase settled out of court for $1.42 billion pertaining to a Lehman Bros. suit from 2008. Finally, it looks like you can’t play “which cup is the ball under” and expect to get away scot-free from the FDIC, as the government agency is suing Bank of America for the $542 million that it owes to the regulator’s deposit insurance fund. And as you would expect, BofA has been sued numerous times recently for fraud, misleading investors, and screwing over customers. If the current economic trajectory for global recession holds, and I think it will, one of the victims is going to be Bank of America (BAC). And it probably won’t survive. Eventually you have to pay the piper. 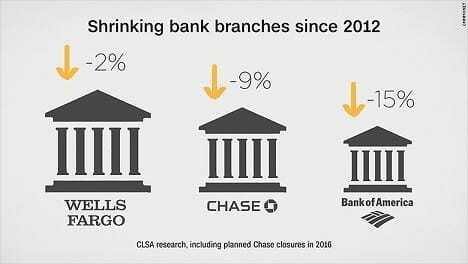 Bottom line, since 2012, these 3 big banks are closing branches and have been having legal and financial trouble left and right. Some of the remedies big banks had 10 years ago are not available, short of a huge bailout offered by an insane Fed. When insane banks are getting sued left and right, eventually your money may wind up in jeopardy. So it’s a good idea to protect it however you can. If, in 1999, [Mark Cuban] had put his $1.8 billion into gold, which was trading at $290, and just kept it there until now at $1,350, he’d be worth over $6.5 billion. Or, more than double what he is currently worth. While Big Banks are struggling to stay alive, precious metals are an eternal store of value for you and your loved ones. Your bank deposits, however, might not be.